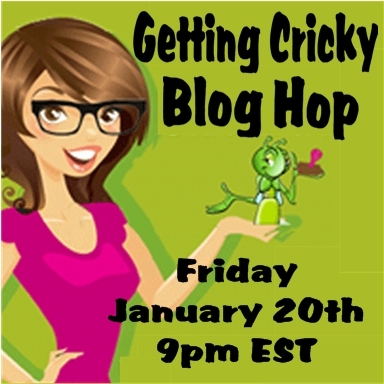 Welcome to the "U R SO SWEET" Getting Cricky Blog Hop!! Kristal's stamp sets are perfect for cards, layouts, and so much more... For my project, I'm featuring the Positive Thoughts stamp set. Here is my project for your viewing pleasure. It's an altered domino. I'm making this into a necklace for one of my daughters. **Remember to mention the promo: Buy $25, get the Mini Heart Bonus Set for FREE!! 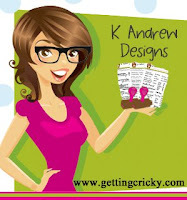 I will be giving away one complete K. Andrew's Design stamp set. The actual stamp set will be a random set. Please follow these simple rules to enter. 1. Leave a comment on the posts throughout this week and include a way to reach you if you win. 3. In that comment, tell me your favorite stamp set available at K. Andrew's Designs. 4. For an additional entry, make a purchase and come back and tell me that you picked up some scrappy deliciousness from K. Andrew's Designs store. Be sure to enter the code CHRISTELFREESHIP to receive FREE shipping on any purchase you make. 5. For another additional entry, like her Facebook page and come back and post an additional comment that you have done so. Christel this is a very unique idea!! Very pretty!! Love the creativity of turning it into a necklace. It is beautiful. This is beautiful. Your daughter is going to love it. Very adorable. I love the colors you chose. My favorite set is the scripture sayings. I never would have thought of that! How creative to think of it and even more creative to pull it off as perfectly as you did -- great piece of art and jewelry. I hope she wears it often and with pride. Ya know, I bought dominos because I've been wanting to try my hand at these, now I know I have to try...this weekend!! Love them, beautiful. What a fun idea for the domino. I love it. My favorite set is the Winged Things. This is great! I'm sure your daughter will love it. I can't wait to try some altering techniques. Like the domino makeover. I like to play dominoes. Oh my, what a fabulous project!! And what a great idea to make it into a necklace!! I need to give this a try. what a great Idea. love what u did. the colors and embellishments are great. love the glossy look. thanks for sharing. Wow! Christel. This is just so creative. I've never seen anything like and I think it's absolutely fabulous. So unique and creative! I never think to alter items but this works beautifully! My favorite stamp at K Andrews is the Hoot Owl image set...so cute! Already a fan of K Andrews on FB and said hi! This is such a great idea and I love that you used alcohol ink to color the domino. Also really like the feather embellishment! I am also a fan on Facebook of Getting Cricky! My favorite K Andrews stamp set is the Coffee and Tea Time images. They are so fun! Cristel, I love your altered domino. I've always wanted to try making one of these, i like the way yours turned out and I like seeing the stamps used on something other than paper crafting. LOVE being on the Getting Cricky DT with you. You are so fu nand creative. Such an interesting and fun idea! I love the embellishment and how you were able to use the stamp for the sentiment in such a creative way! Absolutely amazing! This is gorgeous. I have heard of the altered dominos but have never seen them. You made this one so beautiful. she will love it. 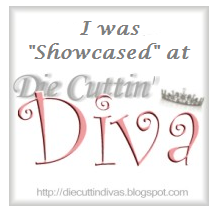 Such a fun crafty idea Cristel. My favorite stamp set by Getting Cricky is the hoot owl images. I'm still hopping but plan on finishing tonight. OMG! What a really great idea. I love how you decorated the domino and it is so beautiful. Love the flowers.